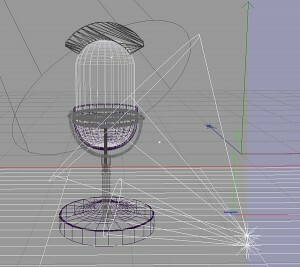 CG3D construction of microphone logo for Speaking Well In Public before rendering. 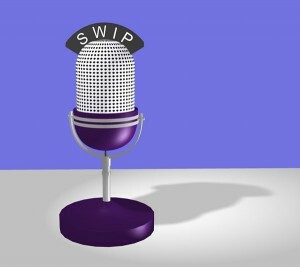 Microphone Logo for Speaking Well In Public. 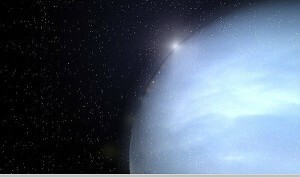 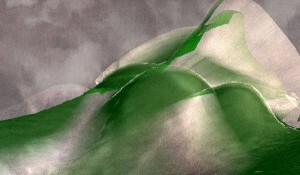 Constructed in CG3D for use on print, web-site and in animated presentations. 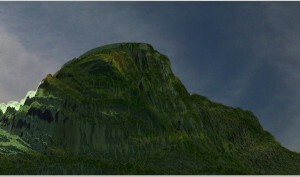 Another unused CG3D environment test produced during the ‘Hunt For Gollum’ project.